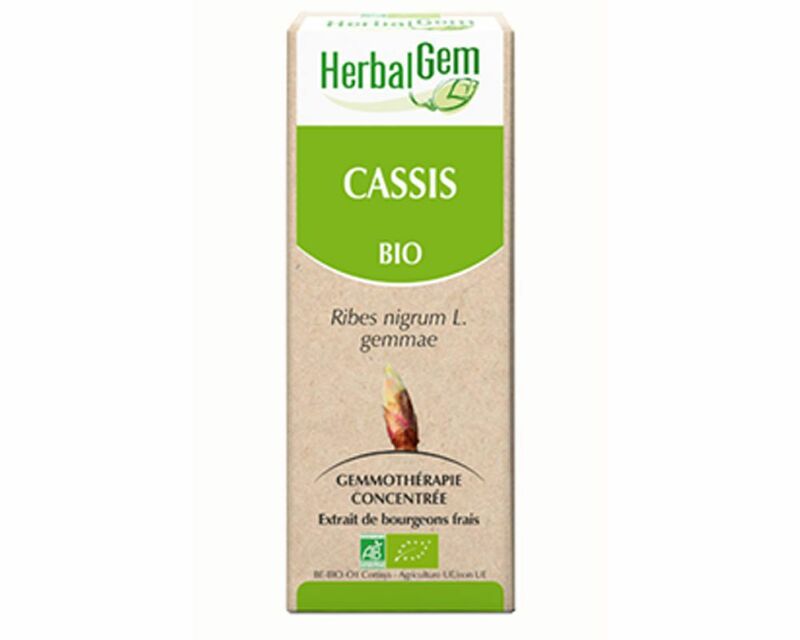 Blackcurrant (Ribes nigrum) Bud - Herbalgem - 15 ml. 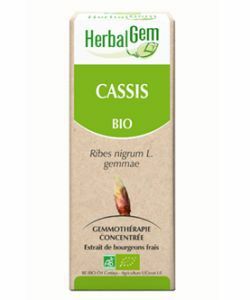 True adaptogen, blackcurrant bud Herbalgem improves the general condition of the body and promotes the action of other buds. Already recommended in the 18th century as the elixir of life, blackcurrant bud is an extract of the most versatile gemmotherapy. Powerful tonic, it is effective on all physiological systems of the body. 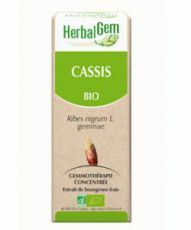 As such, the blackcurrant bud Herbalgem is considered a true 'adaptogen that can be given safely over long periods.Very conditioner, blackcurrant helps to fight against fatigue and exhaustion caused by physical and mental efforts. 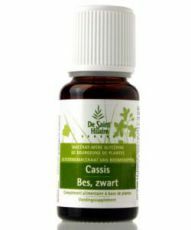 Helps relieve symptoms triggered by pollen. Helps relieve joint pain subsides. 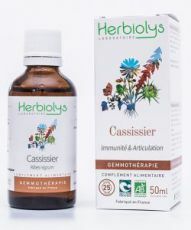 Promotes the action of other buds (adaptogen). 5 to 15 drops per day blackcurrant bud, between meals, pure or diluted in source water, or better yet, diluted in a tablespoon DEPURASEVE , all in a ¾ bottle of water The drink throughout the day. Start with a low dosage and gradually increase until the desired effect.In cure, 3 weeks of daily use, then one week off for 3 months.In maintenance, one week per month. Do not take blackcurrant buds in hypertension. Blackcurrant buds *, * alcohol (35%), water, vegetable glycerin.